Promote events and drives sales opportunity at no cost. Tag your specials events with upfront payments to decrease no-shows and eliminate last minute cancellations! Set the payment rules according to the reservation / event and tailored to the guest experience. Our fully customizable widget drives reservations and checks table inventory in real-time ensuring optimal guest experience. You can now create the ultimate guest experience by controlling the widget according to your brand guidelines, capacity, outlets, and the client communication. More importantly, it is free of charge! This level of flexibility and customization is unmatched! 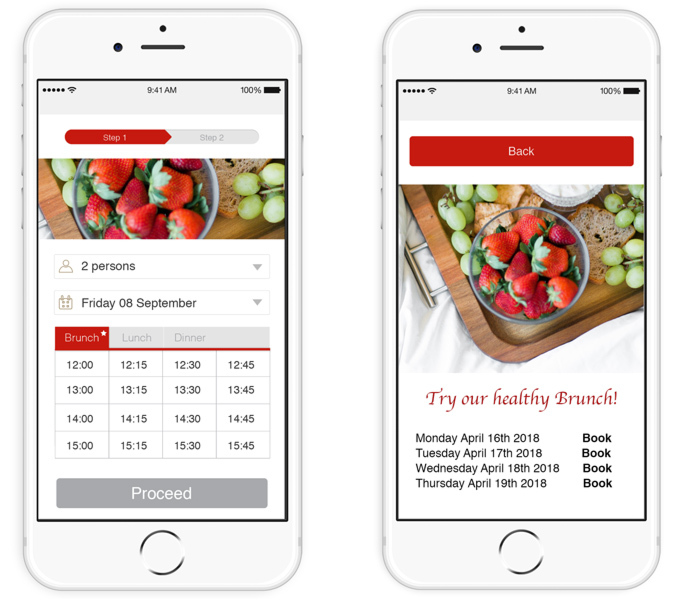 Promote multiple events on various channels such as website, social media, and third-party applications to drive reservations and upsell experiences. We do not charge any fees for online reservations as our aim is to drive sales opportunities and increasing traffic to your website, social media, and other platforms! Promote any events – free of charge – and according to your custom set of rules and tag the reservations/tables with advanced payments for in demand experiences. Integrated with the world’s largest payment gateway providers ensures security of the advanced payment without storing the guest’s credit card details in serVme.